Specific year for second cufflink ? The three-pence coin was a pre-decimal coin worth 1/80 of an Irish pound. The Irish name (leath reul) literally meant “half reul”, the reul being a sixpence coin worth the same as the Spanish real. The nocturnal hare, signifying the moon who dies every morning and is resurrected every evening, also represents the rebirth of nature in spring. Both the moon and the hare were believed to die in order to be reborn. The hare has become a symbol of immortality and independence (since they are capable of looking after themselves within hours of being born). 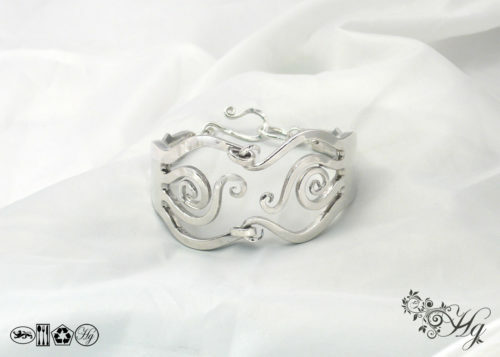 This lovely little coin looks even prettier when it has been hand filed, polished and set as a cufflink. 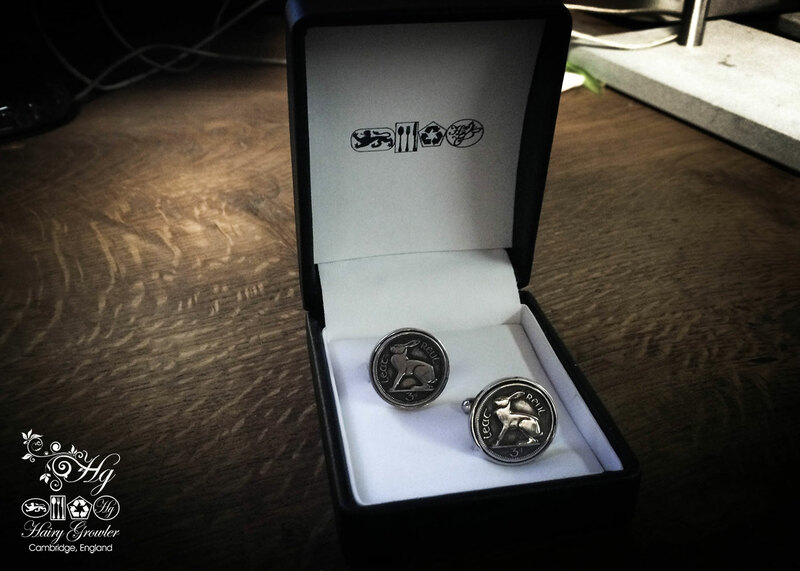 A pair of old Irish thupences given a fantastic new life as a a pair of timeless, wearable cufflinks with a fantastic history and associated symbolism. 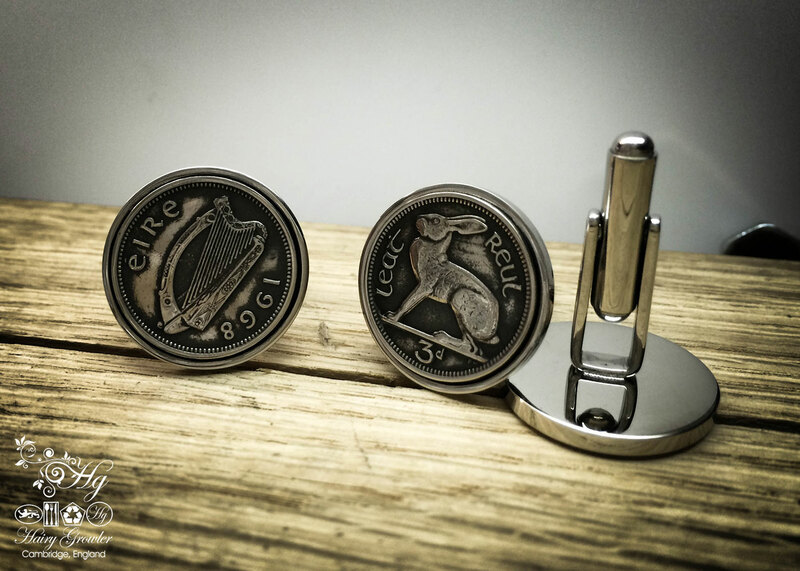 The high quality, hard wearing stainless steel cufflink base works beautifully with the original Irish hare coin. 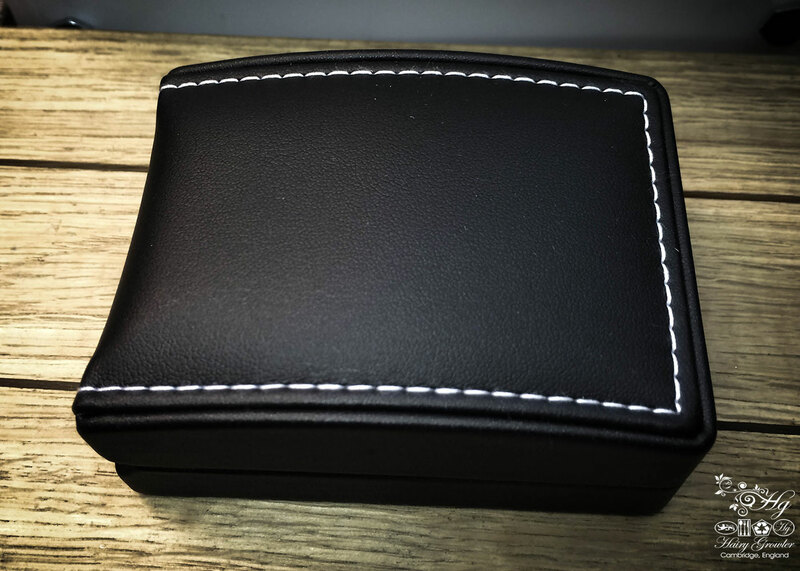 They are presented in a stylish gift box. I’m a big fan of jewellery and a big fan of cufflinks. 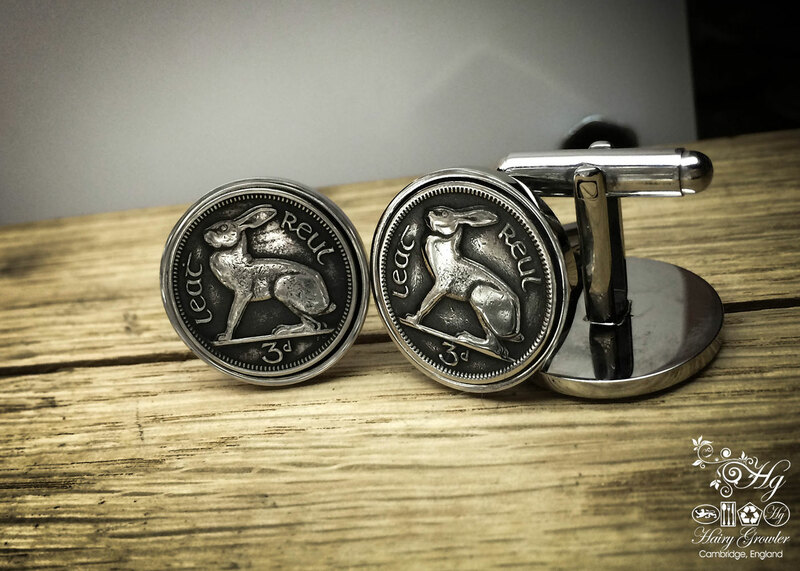 My new Irish hare cufflinks are totally amazing and Iove wearing them at work a they give me something special to focus on during the day. These are my lucky charms and the quality is excellent. Well recommended! The service and products are always exceptional. Thanks again. The cuff links were very well presented. My husband was delighted with them. 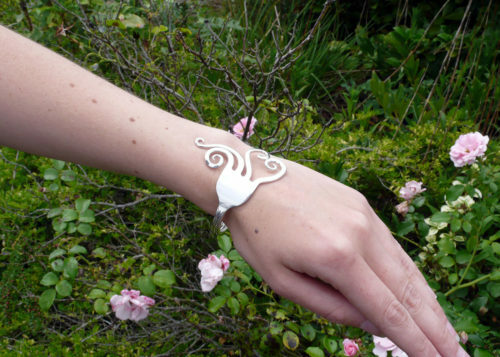 The blackened silver coins highlight the hares beautifully. A great way to recycle. Thank you! 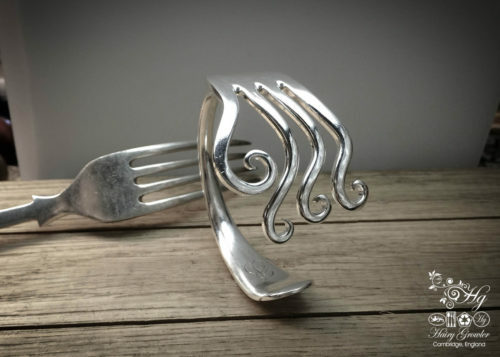 These cuff links looks amazing and I’m sure the recipient will be really pleased with them. 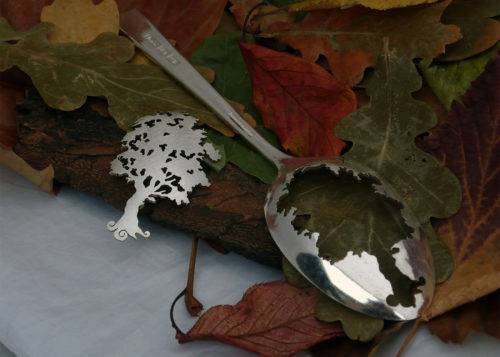 If you’re looking for something special and a bit different, you won’t be disappointed. These cuff links are superb and will make an extra special gift! Thanks so much for your incredible talent.